Representative Dan Newhouse is a lifelong resident of Central Washington and is honored to represent the 4th District in Congress. Dan brings real-world experience to Congress as a businessman and former state legislator ready to work hard in support of conservative values. Dan currently serves on House Appropriations Committee and the Select Committee on the Modernization of Congress. Join Congressman Dan Newhouse, for a live, telephone town hall meeting on April 10th at 6:05pm to discuss important issues facing our district and our country. 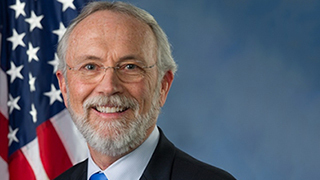 Congressman Newhouse wants to hear from you and get your feedback. Please, sign up here to register and receive a call for the Congressman's next telephone townhall - you'll be able to listen in and ask questions from the comfort of your own home!